My son is leaving for Iraq again and left his S&W M&P 9mm for safekeeping and to let me enjoy it. This polymer pistol is full of useful features uncommon to most pistols of this type. The obligatory lawyer proofing feature on this one is a lever inside the mag well that is pushed down to disconnect the sear when disassembly is done. Note the small lever lowered into place in this photo. The color doesn’t show in the photo but the lever is yellow in color and is very easy to spot and can be lowered by using a pen, handcuff key or any small object. Once the lever is lowered into place with the slide locked back the lever at the front of the frame is rotated clockwise pointing down much like a Sig. The ambi slide release can be depressed and the slide comes off the frame rails very easily. Take down is standard from this point on by removing the recoil spring and barrel. Cleaning is then done as normal. Once the barrel is cleaned inside and out and the slide is lubed it can be reassembled at this time. The frame is cleaned very easily because of the polymer construction. A small drop of MiliTec is placed on the four point slide guides built into the modular frame. A small drop is also used on the trigger spring as well as the area around the striker at the rear of the frame. At this point push the lever previously discussed(sear lock lever-yellow) upwards then move the slide on the four frame guides. When the slide is held all the way back lock it in place with the slide lock then rotate the take down lever counter clockwise. The slide release can then be activated allowing the slide to move all the way forward. The pistol is now cocked so before pulling the trigger make sure the chamber is empty before placing a fresh mag in the pistol. Since it is striker fired you won’t damage the pistol by dry firing. This photo shows the sear lock lever in the up position. The pistol also has a feature becoming more common in pistol designs and that is the interchangeable grip inserts. The S&W comes with three inserts. The medium is the one that comes installed from the factory and the small and large are in the box. This is a very handy feature especially for police departments that have smaller female and male officers officers. They can customize the pistol to fit their smaller grip size. Changing the grip inserts is very simple. At the base of the grip behind the magazine is a small half moon piece that rotates in either direction. Turn it halfway in either direction and pull it straight down removing it from the grip frame. At this point it’s very easy to simply pull the insert out and replace it with the desired one. There are two notches that fit into the frame with very little force. Once in place simply push the long pin you just removed all the way back into the grip frame and turn it back to the original position even with the grip. It’s now locked into place and ready for use. Compared to most very blocky unattractive pistols S&W placed some thought into making this one a nice looking 9mm. It has the slide cuts that are very aggressive but not uncomfortable in the least. It also has a blended rail for attaching various lights, lasers etc. The rail doesn’t add bulk to the pistol or hang down below the frame. In fact some standard holsters work with this pistol. 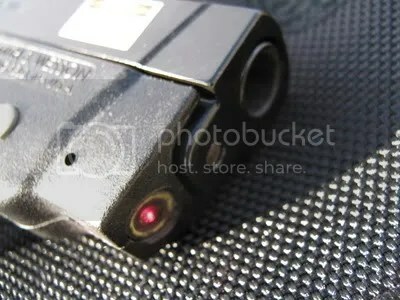 The sights are the low mount Novak type which are my preferred sight pattern. They are easy to align and don’t catch on clothing when drawing. They have three dots as standard but night sights are available as an option. Another feature is the loaded chamber indicator. At the top of the slide there is a small circle which allows a clear view of the loaded round in the chamber. This small circle is beveled to make it much easier to see if the chamber is loaded. The slide release as mentioned before is ambidextrous. The mag release is also reverseable. I prefer to have my mag release on the right side and release it with my index finger of my right hand. That way I don’t have to change grip to drop the mag. Changing it to the opposite side is simple and take a couple of minutes. Again you look into the magwell and you’ll see a spring vertically mounted holding the mag release in place by being on the right side of a small block. To change simply use a small screwdriver and pull the spring back to free the mag release. Once released remove it by slight rotation and pulling it free to the left side. The mag release button is then placed into the frame from the right side. As it contacts the previously mentioned spring use the screwdriver to pull it back so the release block will clear then drop the spring to the left side of the release block. That’s all there is to it your ready to go. Shooting the M&P is straightforward and has a nice trigger that breaks at just below 6 pounds. That sounds like a lot but with the trigger design it feels less. The trigger is hinged at the halfway point and also uses a center piece that must also be depressed to fire the weapon. The magazine holds 17 rounds of 9mm. At the time my son bought this one S&W had the rebate program on the M&P. He chose to get two extra magazines for a total of “5”!!! He purchased the police package that had three mags. That is a very good deal considering the magazine prices these days. That’s also a heck of a lot of ammo on hand before having to reload! Also the magazines are made by MecGar which are becoming the standard magazine for many gun makers. They are very reliable and long lasting even when kept loaded over a long period of time. The group above was for sighting the pistol in for my old eyes:-) It was already very close and only needed a light tape to get it right on the money. This is a group of 9 shots. One at the top and the two on either side was before adjusting the sights. After that the remaining 6 rounds went almost into the same hole. Plenty accurate to say the least. I fired ammo from Winchester (white box) as well as various duty loads. All total 6 brands of 9mm. The pistol seemed to prefer the Hornady TAP ammo as far as accuracy is concerned. I shot from ten yards, 15 yards and 25 yards. Instinctive shooting (no sights used) was very good. I used the large grip insert and found it pointed very naturally and all rounds fired at 7 and 10 yards at single and dual targets went right where I wanted them again without using sights just bringing the pistol up to about chin level and firing from one target to the next. Head shots were easy as were center mass shots. The grip angle is always a great help with this type of shooting. The grip angle is much less than the Glock especially with the large grip insert. I have never been fond of the extreme grip angle of the Glock and instinctive shooting for me is not easy with any Glock. 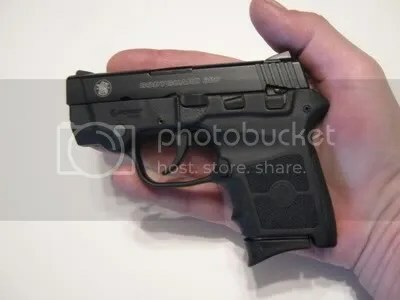 To sum it up this is a well thought out and designed pistol which would serve a police officer well as a duty arm as well as an off duty or civilian CCW pistol. Many holsters are available for it from IWB’s to duty gear as well as belt holsters of many kinds. My choice of holsters is and will always be Erik Littles beautiful holsters and gear. 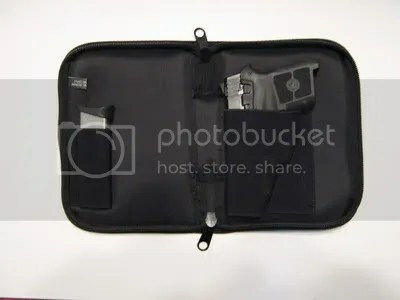 You can find his holsters, mag pouches, belts and many other items at http://www.combatgunleather.com You’ll find an extensive review of his gear on the blog in a couple of places. One is listed with a hi power and the other is a seperate review concerning his gear only. 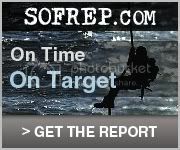 He has been featured in Handgunner magazine as well as others and has a perfect reputation. 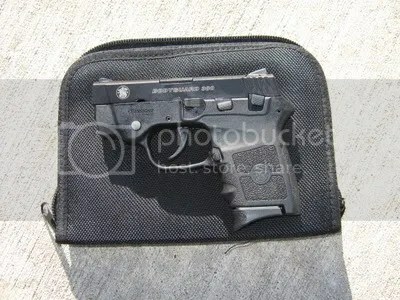 If your looking for a reliable well designed defensive pistol in 9mm you really would be hard pressed to beat this S&W. S&W took on a tall order when they gave the Military and Police moniker from the old wheel gun we’ve all used for so many years and bestowed it on this new line.